One of the overriding aspects to Their Finest, is the deep and pure appreciation of the craft of filmmaking, celebrating the collective experience of not only making a movie, but indulging in one, together. What heightens this notion, is that we’re looking back into a time when cinema meant more than it ever has in Britain. Though long-listed for the Orange Prize for Fiction in 2009, Lissa Evans’ novel Their Finest Hour and a Half went under the radar somewhat, it inspired powerhouse producers Amanda Posey and Stephen Woolley to bring it to the Big Screen seven years later. In the midst of the devastating Second World War, with increasing numbers of men drafted to fight for their lives on the frontline, bombs continued to drop relentlessly on London. Those left behind, made up predominantly of women, children and the elderly, were in need of something uplifting they could relate to. As a result movies became a crucial outlet to help raise the spirits of the nation during this bleak time. Going to the pictures gave an opportunity to reach out to the community and to provide hope and optimism, but audiences demanded realism. Catrin Cole (Gemma Arterton) a smart copywriter, is employed to write female dialogue, (patronisingly referred to as ‘slop’ by her male co writers), for original propaganda feature films that would reflect the new mood of the nation, and help tap into the hearts and imaginations of the fast growing women’s workforce. Partnered alongside fellow screenwriter, the forthright Buckley (Sam Claflin), the pair become enamoured with one particular patriotic tale; of twin sisters who set out to sea in their drunken father’s rickety old boat to rescue brave, wounded soldiers in Dunkirk. 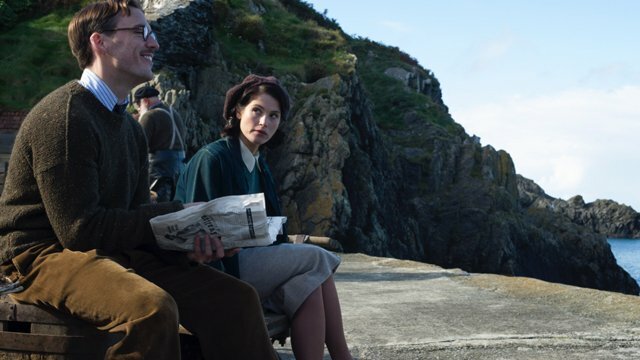 It is through the power of film and her new found love of Buckley that Catrin’s eyes are opened to who she truly is and the possibility of starting a new life, after all, if there is one thing she has learnt from her time spent in the film industry, it’s that the show must always go on. Amanda Posey had originally begun her career in the film industry working for Stephen Woolley, and has since enjoyed success, having been Oscar-nominated for An Education, and more recently for Brooklyn. Woolley, who came fresh off the back of the multi Oscar nominated Carol, is an eminent producer longstanding in the British film industry, Oscar nominated for The Crying Game. 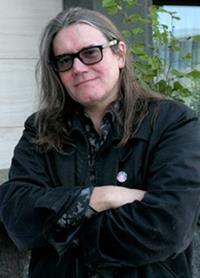 He has also produced Interview With A Vampire and Made in Dagenham. As a Londoner renowned for his historical films of the city, he was drawn to the subject matter and period, as well as the cinematic content and superb prose writing of Lissa’s novel. However, it was the combination of Lissa’s amazing character portrayals and clever humour that hooked him. “I loved the book so much it set me off to find out whether the rights were free for Number 9, only to discover that somebody else was bidding for them, and that person was Amanda,” said Woolley. Posey then explained how she first became enamoured by this novel, and why she felt that Gaby Chiappe, who had yet to pen a feature length film, was so perfect for the job. 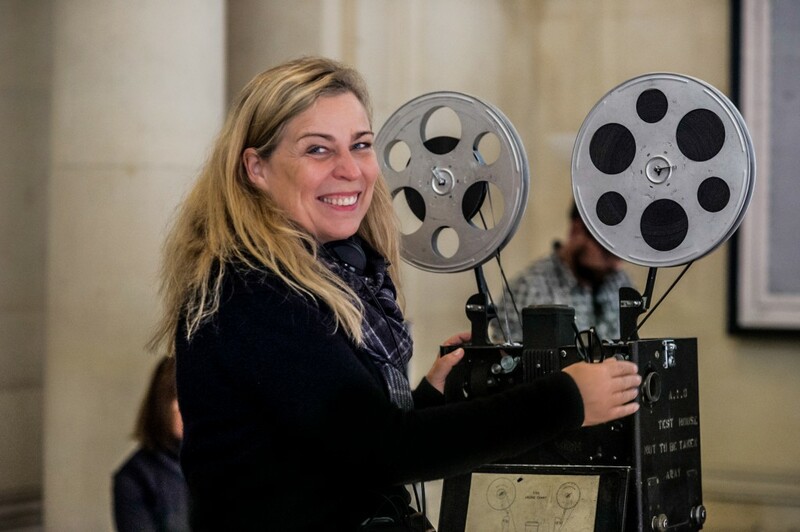 Lone Scherfig, the director of Their Finest, felt that Chiappe’s experience on the smaller screen informed this screenplay, particularly when tasked with adapting such an intricate narrative with a myriad of characters and intersecting stories. 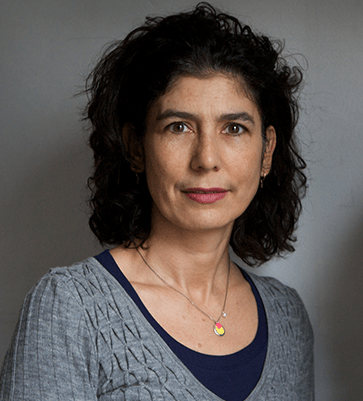 “Because of Gaby’s long running television background, she trusts that you can tell very complex stories, and you could easily make two feature films from the original book. It’s a very rich script, packed with detail. Still, Gaby’s writing is quite minimal, leaving lots of space to make stylistic decisions and move the script onto a bigger, more generous, but less forgiving screen. Chiappe, who claimed that “the divide between whether people are screenwriters or telly writers is artificial”, shadows the sentiments of the two producers, claiming it was Evans’ humour that initially drew her in, while she explains how surreal the entire experience has been for her. In Evans’ original novel there are three paramount characters we follow, Catrin, Ambrose and Edith – and the latter has been entirely cut out from this adaptation though parts of her are revived in the character of Phyl. As Woolley explains, the focus had to remain on Catrin, and certain sacrifices were needed in order to accommodate that. To craft a film that maintains a sense of ineffable enchantment, while at the same time not compromising on the sheer severity of war, to interject humour and tragedy in a compatible way, is by no means an easy task. For Amanda Posey, getting that balance completely right was a primary concern. Tonally, the feature was left in rather accomplished hands, and Scherfig explained that a narrative of this nature is what she thrives in as a filmmaker. For all of the devastation caused during the Second World War, there was also a sense of community amongst those left back in Britain, and this was a vital notion that the two producers were determined to get across. “That generation often referred to the war as being the best time of their lives because this was a time when everybody pulled together and had a common purpose,” said Posey. 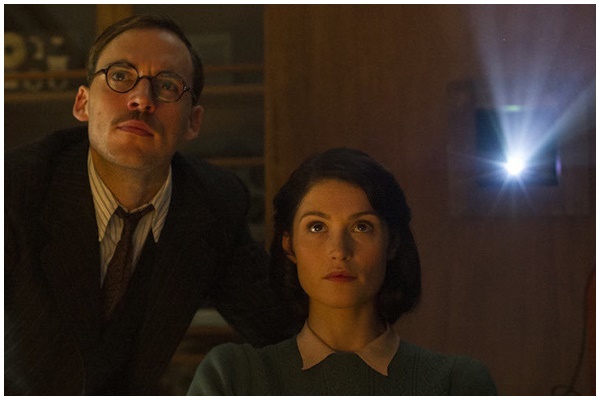 Sam Claflin, who plays Buckley, was also aware of the spirit in the UK at the time, and how essential it is that Their Finest is on hand to reflect that. His co-star Bill Nighy, who plays the indelible comic creation of Ambrose Hilliard, an ageing, conceited thespian, was aware that in spite of the evident spirit, it remains a delicate line to walk. “There’s an enormous nostalgia for that period, and yet had you lived through it, it would have been an incredibly tough and tragic time, where hundreds of thousands of people of died in London and there was a constant threat that you might not wake up tomorrow, or your family might be killed, and people lived with that for six years,” he said. The task of balancing the charm with the bleak sense of reality was left in the hands of Chiappe, and she felt similarly to Nighy, uncomfortable about romanticising about the war, and yet ensuring that the palpable sense of community came through in the screenplay. The face of British cinema as we recognise it today was shaped, and informed during the 1940s – thanks to propaganda films much like the one our protagonists are crafting in Their Finest. The glitz and glamour of Hollywood was too far removed from reality, and audiences craved a pertinent reflection of their world, which filtered into the next generation of filmmakers from post-war Ealing to the ‘kitchen sink’ films of the late 50s and early 60s (Look Back in Anger, Cathy Come Home); to today’s filmmakers like Mike Leigh and Ken Loach. For Stephen Woolley, a life long appreciation of films from this period fueled his passion as a British producer and the knowledge he has acquired was also an invaluable asset to this project. “The story our film within a film, The Nancy Starling, is telling, of rescuing wounded soldiers in Dunkirk, is heightened, but people at the time could resonate with it,” he said. “. “We also wanted to celebrate how wonderful it can be to sit in a cinema and watch films with an audience, she continued. “The world of filmmaking is one I really love and know, and as a tribute to cinema the film was a great technical challenge. But the underlying drama, how much the characters have at stake means a lot for the depth of the film. Behind the screwball dialogue they know that the film they are making plays a part in winning the war and that every work day can be their last. Amanda Posey also remains hopeful that this film can inspire audiences, and serve as a reminder of how special the cinema experience can be. Stephen Woolley also felt similarly about the project, wanting to cast a light over an era where film mattered so tremendously. 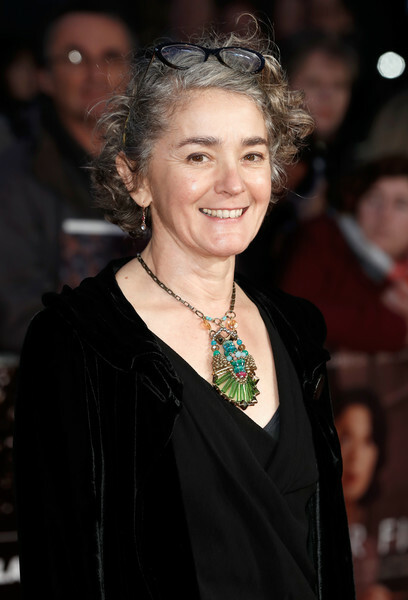 Gaby Chiappe was a key part in ensuring that be the case, and the screenwriter wanted this endeavour to truly commemorate the shared, communal experience of watching a film at the pictures. “Cinemas were closed briefly at the beginning of the war as there was a fear they’d be dangerous, but they opened them again because people wanted to go,” she said.